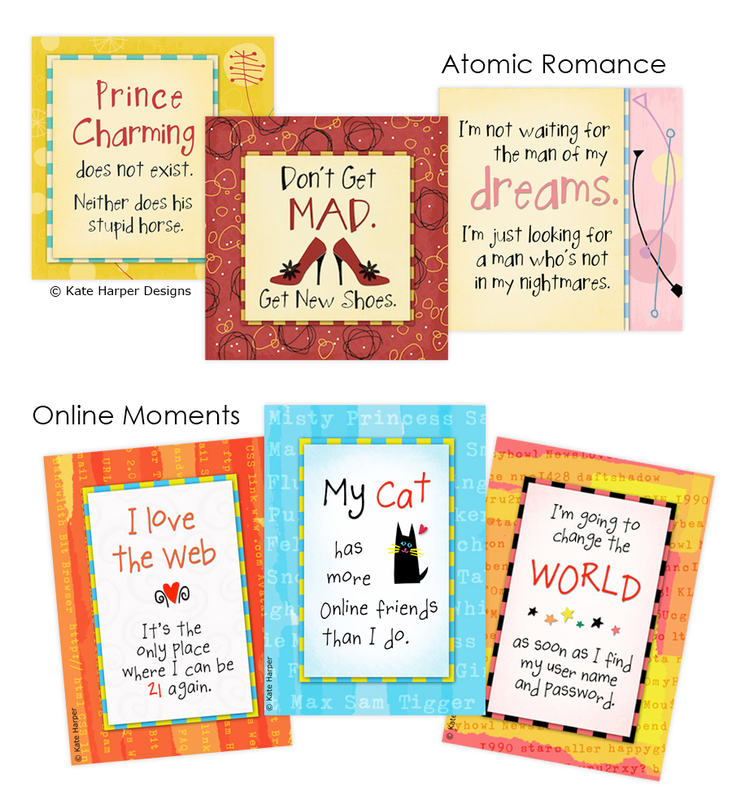 Kate combines witty words and vibrant colors to communicate edgy and uplifting messages. She has licensed designs for over a thousand greeting cards and gift items including magnets, shirts, coasters, placemats, rubber stamps, coffee mugs, paper pads, towels, coloring books and embroidery kits. 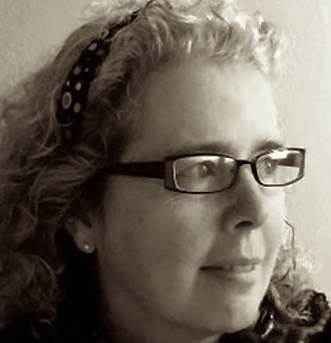 She lives in the San Francisco bay area and continues to explore ways to bring an outside vision into the marketplace. 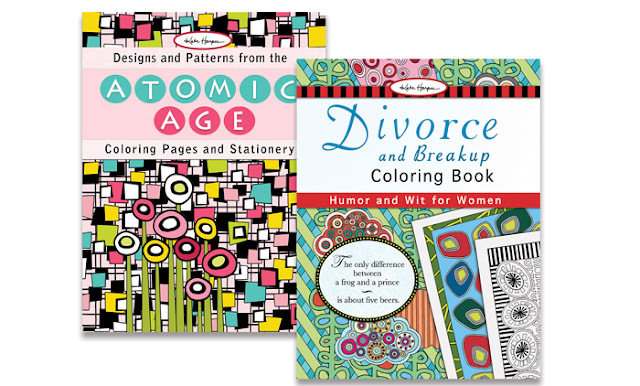 Kate's designs inspired by the Atomic Age, and humorous designs for Divorce.